By Dr. Ink | Come On, Get Happy! 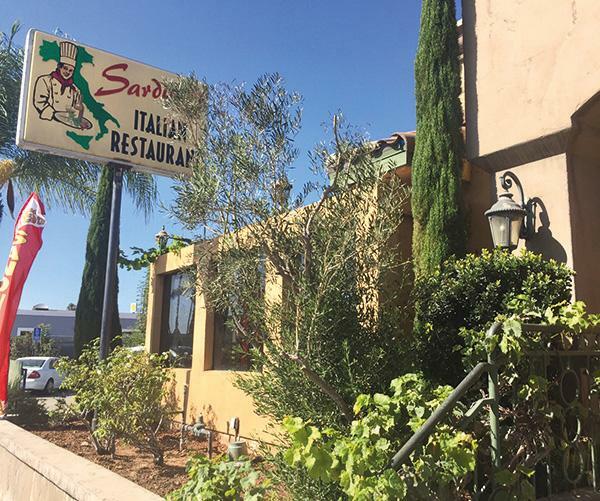 Sardina’s Italian Restaurant dates back to when The Beatles released their final studio album, “Let It Be,” and when the floppy disc was invented. It was also when ABC launched “Monday Night Football,” which today is carried by ESPN and can be viewed in Sardina’s roomy bar lounge. 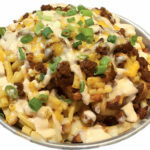 Since 1970, the Linda Vista establishment has managed to stay afloat in a locale better known for its home-remodeling stores than restaurants. 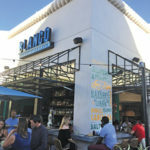 It’s the only place along this preliminary stretch of Morena Boulevard — just blocks off Friars Road in west Mission Valley — where you’re greeted by the alluring aromas of red sauce, meatballs and eggplant Parmesan. It may also be the only joint in town where you’ll find a bar slinging limoncello martinis. Priced at $5.75 during happy hour, I would’ve been damned to pass one up. The cocktail tasted like the mature sibling of a lemon drop. Despite its sugar-lined rim and inclusion of Sprite in the recipe, it wasn’t cloying and sticky like lemon candy. For that very reason, I drank two. 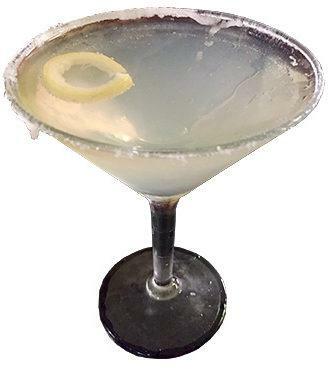 Vodka also goes into the drink, although it’s heavily disguised by the liqueur’s smooth, sunny essence of lemon peels. For the same price, you can score an “antipasto” bloody mary garnished with skewered meats, cheeses and pepperoncini. 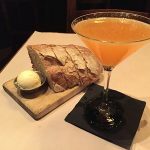 There’s also a vodka-based Tuscan martini, described by the bartender as tasting smooth and earthy due to the inclusion of Tuaca, a brandy dating back to the Italian Renaissance and known for its citrus and vanilla notes. If you’re hankering for a pint of domestic or premium beer, they cost $4 and $5 respectively, or $8 and $9 for 34-ounce “king” sizes. 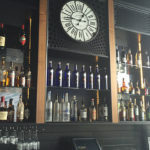 Well drinks are $4.75, and wines are priced at $4 a glass, $8 for half carafes, and $12.25 for full carafes. 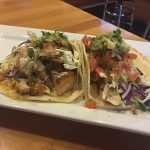 The happy hour deals are available only in the bar lounge or outdoor patio. 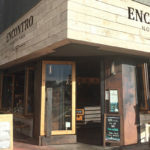 Both areas offer ample wiggle room and expose you to classic Italian dishes flying around the place. Many of them are discounted during happy hour, such as cheesy garlic bread, spaghetti with red sauce, meatballs, sausage, and pizza. 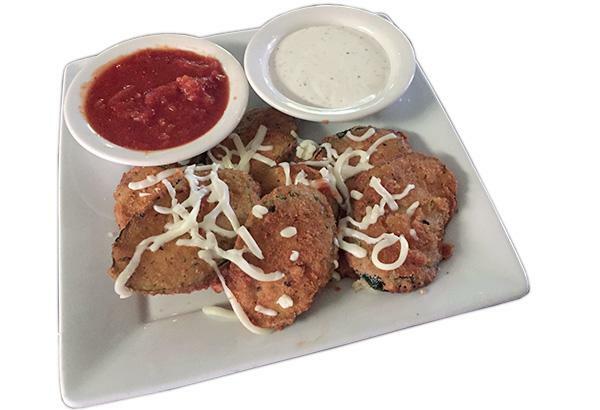 I ordered the fried zucchini for $5.50, which was coated evenly in Italian breadcrumbs and served with excellent marinara sauce and so-so ranch dressing. Served in large slices, I’m guessing these crispy critters were fried gently in olive oil, given their depth of flavor. 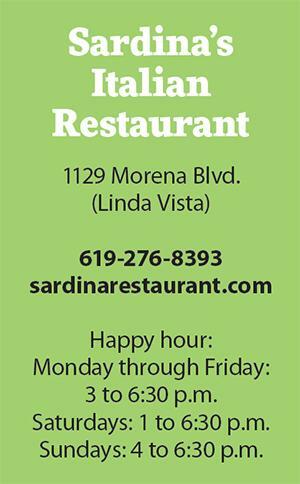 Sardina’s offers a taste of Italy where you least expect it. If you block out the stucco archways inside and the palm trees outside, you could be in any Italian restaurant in Brooklyn, New York — replete with old family photos hanging on the walls and large, festive parties often present with bambinos and grandmas in tow.